Looking to eat less meat for whatever reason? Here are 15 meat-free versions of normally meaty dishes to try at Tampa Bay restaurants. DIRK SHADD | Times The Ralphie biscuits and gravy at Maple Street Biscuit Company on Central Avenue in St. Petersburg put chopped shitake mushrooms to work. The spicy vegetarian gravy is the perfect density with a kick of heat. JOHN PENDYGRAFT | TIMES Meatless chili dogs at Golden Dinosaur Vegan Deli in Gulfport. The tempeh sandwich from Bodega in St. Petersburg and Tampa. This list isn’t about healthy choices. Not exactly. You’ll find no shortage of comfort foods here, many smothered in cheese or wrapped in white bread. Many of these could qualify as a cheat meal. This list is for people looking to satisfy a craving for something traditionally made with meat, while avoiding meat for whatever their reason might be. And there are plenty of options. The whole Meatless Monday movement is based on the idea that going meat-free just one day a week helps relieve the pressure that meat production puts on the environment. And yes, generally speaking, those who opt for meatless meals tend to eat fewer calories, weigh less and have lower risk of heart disease, according to the Mayo Clinic. Vegetarians and vegans may find new ideas here for dining sans meat in Tampa Bay, which is certainly getting easier. Others might be new to meat-free waters. Maybe you’ve got a vegetarian or a vegan in town for the holidays. Or maybe you’re just looking to cut back on the meat a little, especially after all that holiday turkey and ham. It doesn’t have to be all or nothing. 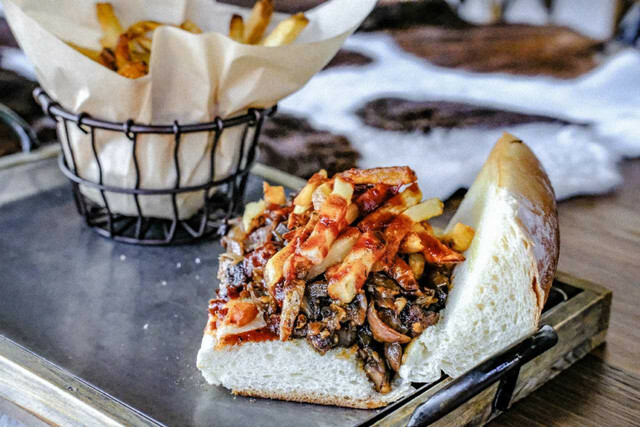 Whatever your reason, here are 15 meatless meat dishes worth trying around Tampa Bay. If one item on this list will give faithful vegetarians pause after tasting it, just to double-check if their server heard them, it’s this. 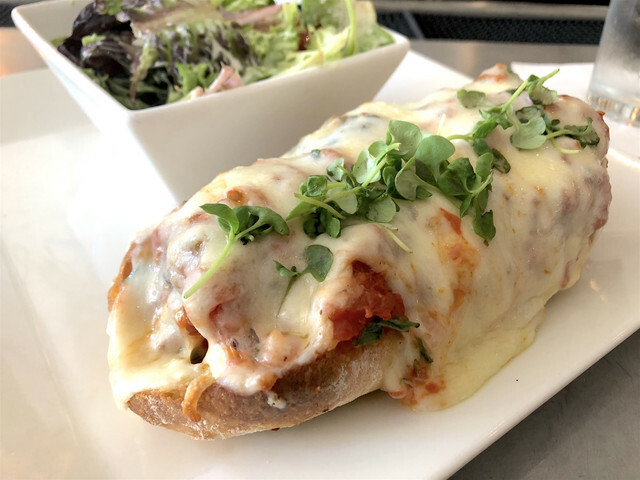 The vegetarian meatball grinder from Cassis American Brasserie employs soy protein “meatballs” made in-house with garlic, onion and fennel, with a spot-on meatball texture. It’s topped with a generous amount of bright, garlicky marinara soaking into a toastie Italian hoagie roll covered in melted mozz. This sandwich is not only indistinguishable from most meatball subs, it’s better. $13. 170 Beach Drive, St. Petersburg. (727) 827-2927. cassisstpete.com. There aren’t a lot of sandwiches that feature sauerkraut, for good reason. 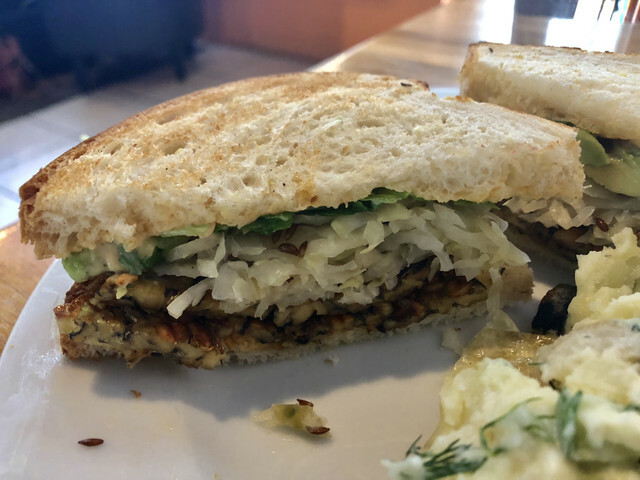 Sour pickled cabbage goes well with salty meats, and, well, off the top of our heads, the tempeh Reuben from Love Food Central, one of the area’s best vegan restaurants. It’s grilled tempeh with avocado, arugula and a slightly spicy vegan “awesome sauce” reminiscent of Thousand Island and kraut on toasted sourdough. The delicate sandwich won’t weigh you down like corned beef. Go with the potato salad side. $10. 2057 Central Ave., St. Petersburg. (727) 317-2034. lovefoodcentral.com. Even in downtown Gulfport, the quaint charm capital of Pinellas County, this pink “vegan deli” decorated with thrift store dinosaur toys stands out as a charmer. Golden Dinosaurs’ chalkboard lists solid meatless meat options — the “pastrami reuben” shows off their house-made seitan pastrami quite well — but sometimes you just want a hot dog. A chili dog, actually. 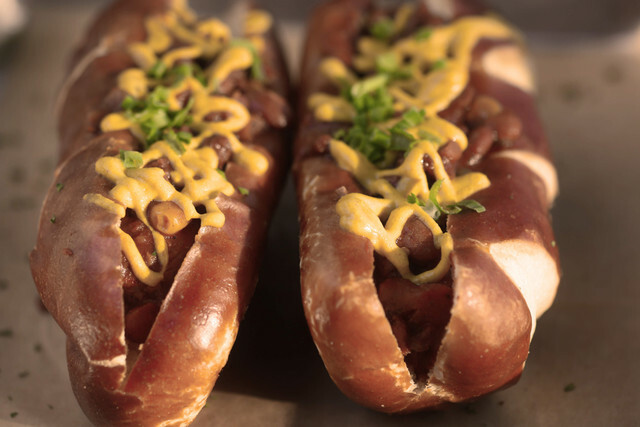 This vegan dog comes on a pretzel bun topped with mustard, chives and house-made chili the owners have made for 14 years, even though they opened Golden Dinosaurs this year. $6 or two for $10. 2930 Beach Blvd. S, Gulfport. (727) 873-6901. goldendinosaurs.com. A subpar filling can sink an empanada with a great crust, and vice versa. 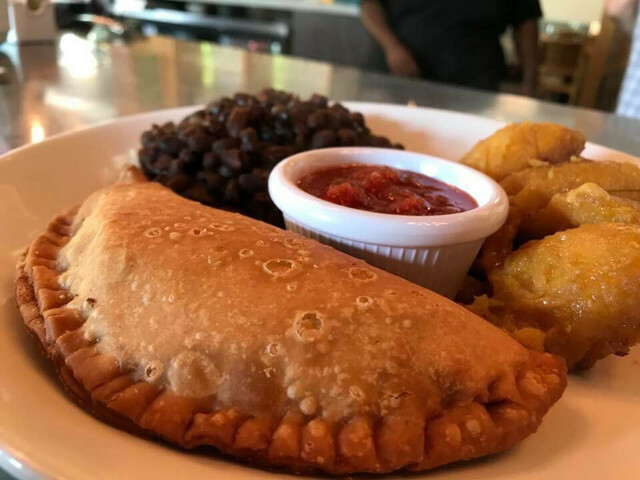 The brunch empanadas at Cider Press Cafe nail it on both fronts. The crust is flaky, light and filled with an egglike tofu “scramble” made with nutritional yeast and black salt, plus a soy-based “bacon,” seasoned potatoes and vegan cheese. They’re served with salsa on the side, sweet plantains, black beans and rice. $11.99. 601 Central Ave., St. Petersburg. (727) 914-7222. ciderpresscafe.com. Ray Milton of Ray’s Vegan Soul is a magician. He has taken one of the most improbable cuisines for vegans, soul food, and not only done it justice but excelled. For years, it was a mobile catering operation, setting up outside St. Pete bars where those in the know flocked. 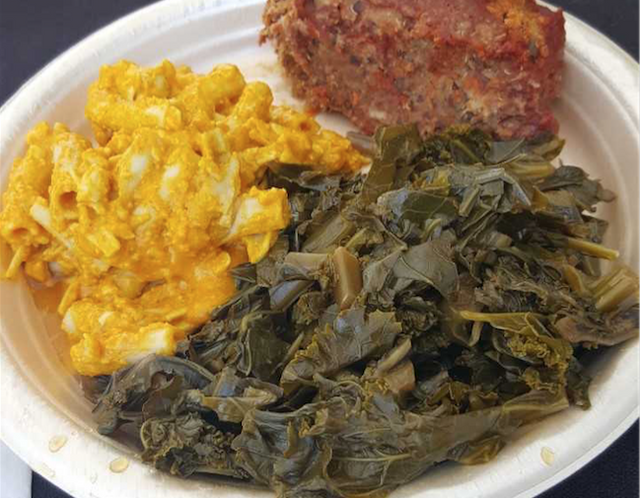 Fans rejoiced when Milton finally opened a permanent location (albeit with limited hours) that does a weekly Soul Food Sundays menu. The standout (even among the vegan mac and cheese and quinoa meatloaf) is the kale and collard greens, tangy and smoky, even without the help of ham. $3. 169 Dr. Martin Luther King Jr. St. N, St. Petersburg. (727) 415-9030. facebook.com/raysvegansoul. If you absolutely must get your mustardy, pickle fix, get a vegan Cuban at Golden Dinosaurs in Gulfport. The “mojo pork” is made of vital wheat gluten, beans, broth and spices, and it's combined with other traditional cuban sandwich ingredients. But considering how particular people are about this regional specialty invented in Tampa, we’re going to recommend a sandwich from Bodega that is Cuban sandwich-esque without claiming to be a direct imitation. 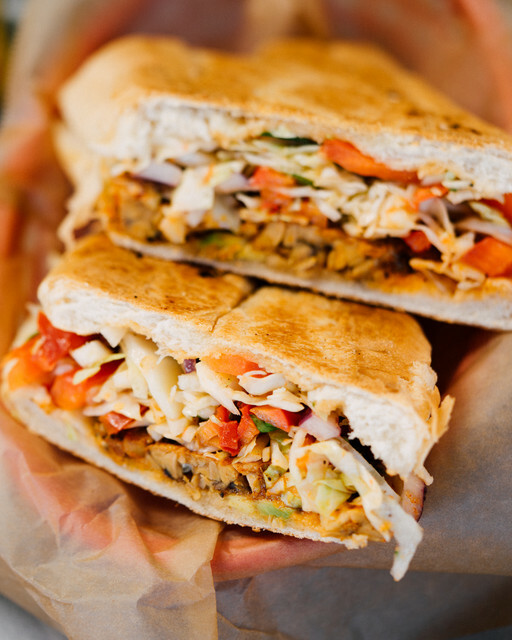 Bodega’s tempeh sandwich tops savory grilled tempeh with sweet and spicy slaw and a chili lime dressing that, when pressed on Cuban bread, provides a bit of the tang and pickle crunch you get on a Cuban. 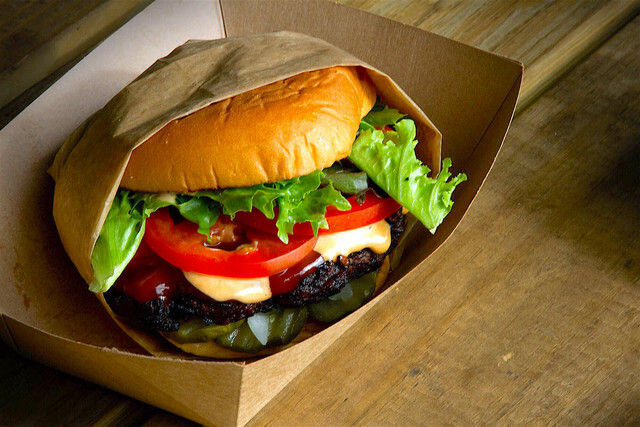 It stands up to any meat item on Bodega’s menu. $8.75. 1120 Central Ave., St. Petersburg. (727) 623-0942. And 5901 N Florida Ave., Tampa. (813) 533-3333. eatbodega.com. Anyone who eats a lot of meatless “burgers” will tell you that black bean burgers, which often don’t try hard to precisely imitate beef, are usually better for it. Somehow, though, Vanchetta’s bean burger is both its own thing and surprisingly meatlike. Part of that is the sear on the outside. It comes on a potato roll with chipotle aioli, bread and butter pickles, onion, lettuce, tomato and ketchup. And yes, it is weird that the best veggie burger around comes from a food truck specializing in roast pork. $8. They’re mobile, but follow them at facebook.com/vanchettatruck. 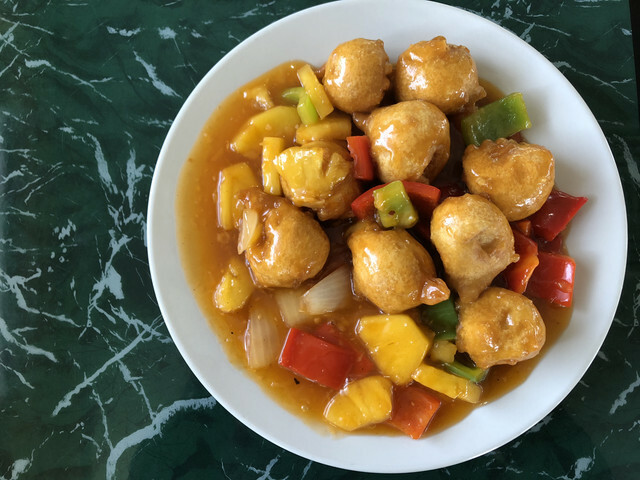 At Lotus Vegan Restaurant, the sweet and sour divine has super fresh veggies, that familiar, unnaturally red sauce and squares of battered tofu fried with light crispiness. It’s not chicken, but it scratches an itch if you’re off poultry. $9.99. 6575 Park Blvd. N, Pinellas Park. (727) 549-1688. lotusvegan.us. So, it’s kind of cheating to have a separate burger and patty melt category, but this one deserved its own mention. Ford’s Garage offers all burgers with a vegetarian Impossible Burger patty — lots of places do now — but they cook it right. 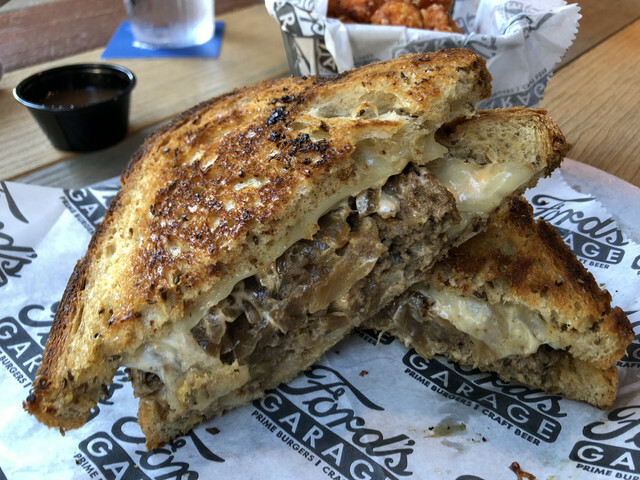 Get it as a patty melt with baby Swiss, caramelized onions and Thousand Island dressing on toasted rye bread. It’s the right amount of greasy. $10.95. Locations in St. Petersburg, Tampa, Clearwater, Wesley Chapel and Brandon. fordsgarageusa.com. You’d be hard-pressed to find another barbecue restaurant with as many vegetarian and vegan options as Dr. BBQ. You could also pour their Sweet Lee barbecue sauce on shredded cardboard and it would taste good. Don’t do that, though. The Veggie Q subs in sauteed portobello and shiitake mushrooms for meat, with sauteed onions, topped with hand-cut fries (yes, on the sandwich) on a toasted baguette. It’s a delicious and readily available Sweet Lee delivery vehicle. $12. 1101 First Ave. S, St. Petersburg. (727) 443-7227. drbbqs.com. 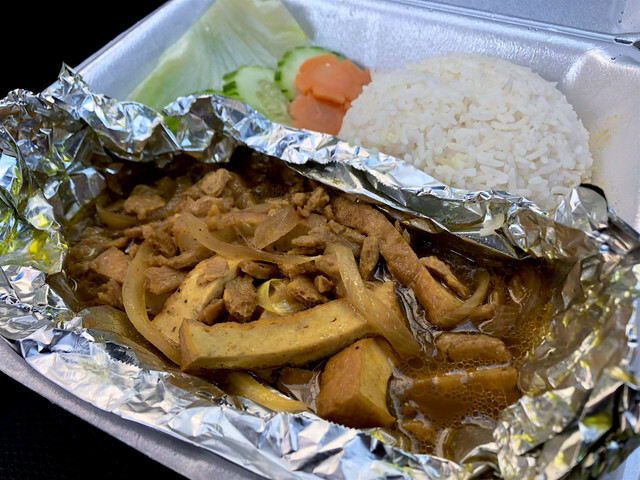 Sometimes you just want some hot takeout, and Trang Viet Cuisine not far from the University of South Florida has a ton of veggie options. If you’re really missing chicken, though, the vegetarian chicken curry hits the spot. It’s unclear what kind of voodoo is going on to turn this mycoprotein meat substitute into the exact texture of chicken (while soaking up the curry better than actual meat) but it’s hard to tell the difference. They also throw some strips of tofu on top. $8.95. 230 E Bearss Ave., Tampa. (813) 979-1464. (813) 979-1464. photrangvietcuisine.com. 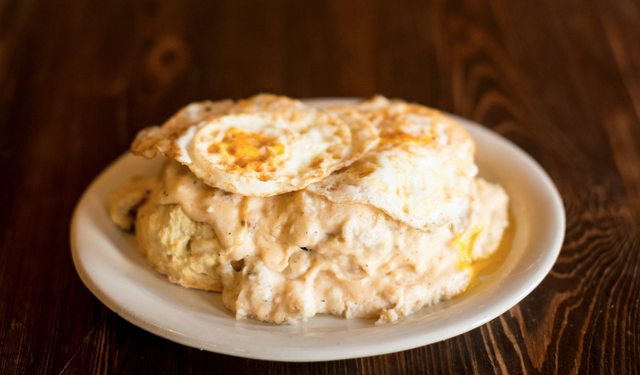 At Maple Street Biscuit Company, you can get sausage gravy on the Ralphie. But you don’t need sausage gravy when chopped shiitake mushrooms do the work for these biscuits and mushroom gravy. Spicy vegetarian gravy is the perfect density with a kick of heat, smothering a pair of flaky, buttery, scratch-made biscuits. The fried egg or two on top is optional and extra. $6. 662 Central Ave., St. Petersburg. (727) 290-6211. And 13028 N Dale Mabry Highway, Tampa. (813) 442-5689. maplestreetbiscuits.com. Many Vietnamese restaurants do a tofu sandwich (St. Petersburg’s La V makes one of the better ones), but if we’re talking tofu anything in Tampa Bay, you have to mention Thinh An Kitchen & Tofu, the region’s only restaurant that makes its own, a creamy, custardy variety. 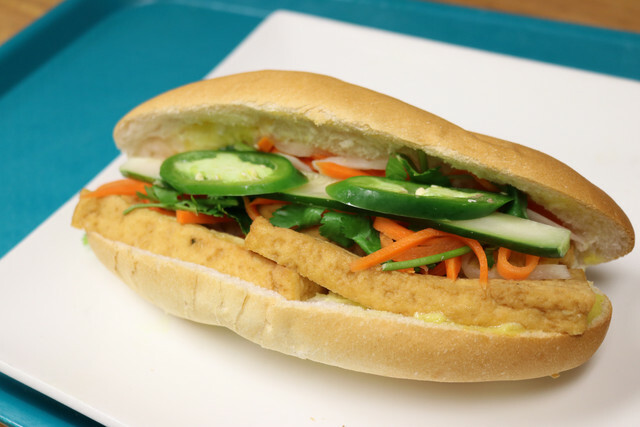 The tofu banh mi is topped with pickled carrots and daikon, cucumber, jalapeno and an umami sauce, served on a house-made Vietnamese baguette. For the price, it’s absolutely the best value on this list. $3.50. 8104 W Waters Ave., Tampa. (813) 249-2222. thinhankitchentofu.com. The vegetarian shepherd’s pie at Moon Under Water is a version of the British comfort food that’s just as comforting. Soy crumble flavored with Montreal steak seasoning stands in for minced meat under the vegetarian gravy, hearty mixed veggies, mashed potatoes, mozzarella cheese and diced tomatoes. $16. 332 Beach Drive NE, St. Petersburg. (727) 896-6160. themoonunderwater.com. Inside Duckweed Urban Market, Farmacy is using the Impossible Burger, a beef substitute that includes heme and has the taste and smell of real, cooked meat, to create a Philly cheesesteak. It works. 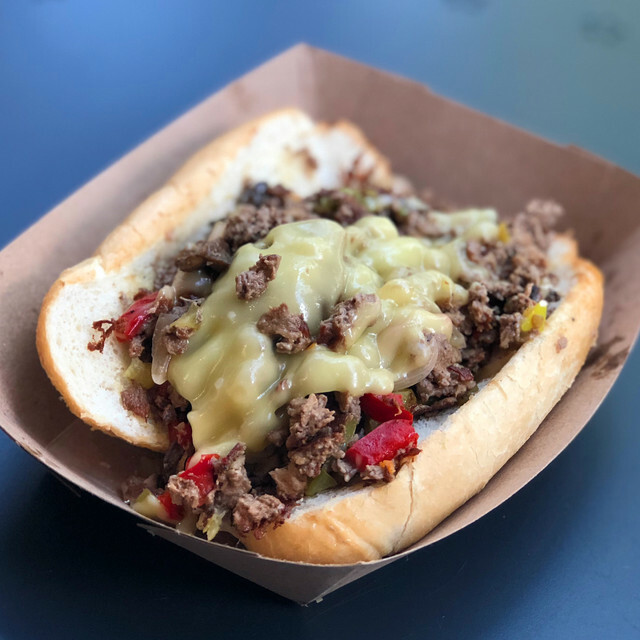 And it wouldn’t be a Philly without peppers, onions and provolone. $12. 803 N Tampa St., Tampa. (786) 681-1644. farmacyvegankitchen.com.